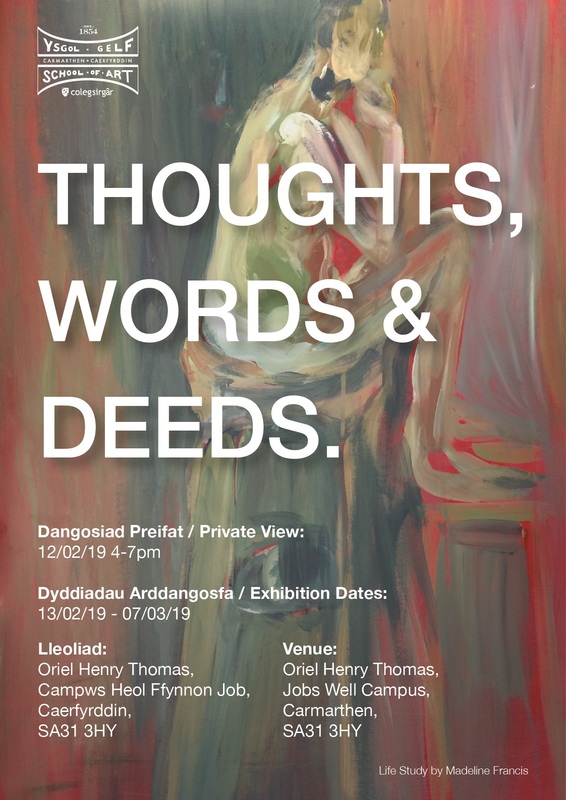 We are delighted to provide some of our furniture on loan, to Carmarthen School of Art for the installation for their exhibition – Thoughts, Words and Deeds – 13 February – 7 March 2019 at Oriel Henry Thomas, Jobs Well Rd Campus, Carmarthen, SA31 3HY. The exhibition will showcase some of the students and staffs work and in particular the research, thought and theory part of art. It will demonstrate the transition from an idea to the completed work. Please do call in to see the exhibition if you are in Carmarthen.